Two BBC sitcoms currently feature familiar faces for TVO readers, in the shape of Cariad Lloyd and Doon Mackichan. I Want My Wife Back, which launches Monday 18th April, features Cariad Lloyd – star of Murder in Successville, Crims, Crackanory and Inside No. 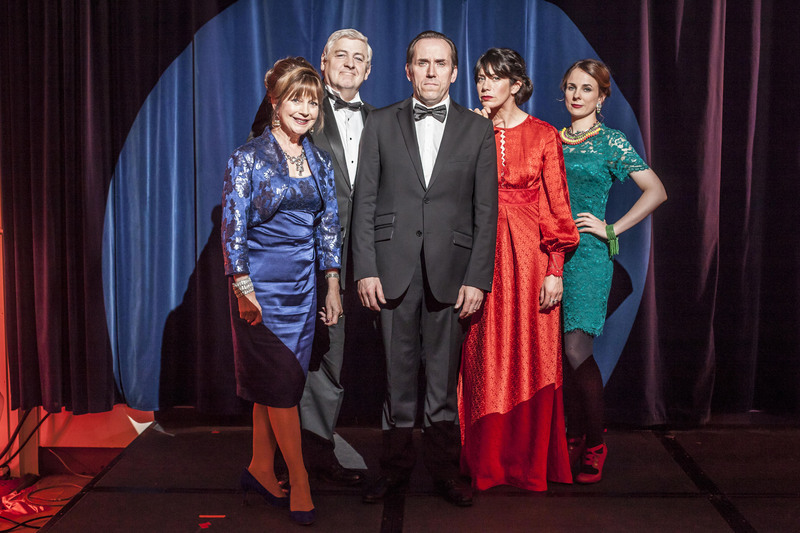 9 to name but a few – as part of a large ensemble cast around Ben Miller’s central character, Murray. The show’s core premise is that Murray discovers his wife Bex may be leaving him on her 40th birthday, and he has to find her before the surprise birthday party he’s arranged gets underway. Also featuring Caroline Catz (Doc Martin), Priyanga Burford (The Thick of It), Kenneth Collard (The Detectorists) and Peter Wright (Hot Fuzz), you can catch Episode One at 9:30pm this Monday on BBC One, and you can see a preview trailer over yonder. As always, it will be available on iPlayer after transmission. Speaking of iPlayer, it’s the best place to catch up with BBC Two’s neighbourhood sitcom Two Doors Down which began during our restructuring hiatus a few weeks ago. The show focuses on two couples on a Glasgow street; played by acclaimed actor Alex Norton, Fast Show legend Arabella Weir, comedy veteran Jonathan Watson (Fried, Bob Servant) and the delightful Doon Mackichan of The Day Today and Toast of London fame. Also featuring Rab C Nesbitt star Elaine C Smith, Stag‘s Sharon Rooney and Still Game‘s Jamie Quinn, the show is a follow up to one-off hour long special which aired back in December 2013, and episodes you may have missed are available on iPlayer now. Episode Four airs at 10pm on Friday via BBC Two. If, like many, you’d prefer to own both shows than let them dissolve into the iPlayer ether, you can pre-order them on dvd and as digital releases already. I Want My Wife Back will be released on dvd on 30th May, while Two Doors Down will be around much sooner than that, available on dvd from 2nd May. Both shows will also be available from the BBC Store.